00:45 1. Shri Anurag Singh Thakur, Chairperson 2. Shri L.K. Advani 3. Shri Prasun Banerjee 4. Shri Hemant Tukaram Godse 5. Dr. K. C. Patel 6. Dr. Sunil Baliram Gaikwad 7. Shri Shyam Charan Gupta 8. Shri P. Karunakaran 9. Dr. (Smt.) Bhartiben Dhirubhai Shyal 10. Smt. Kahkashan Perween 11. Dr. K.V.P. Ramachandra Rao 12. Shri Binoy Viswam Consideration of Memorandum No. 1 regarding selection of subjects for examination by the Committee during the year 2018-19. 02:20 1. Shri Anurag Singh Thakur, Chairperson 2. Shri Lal Krishna Advani 3. Shri Prasun Banerjee 4. Shri Shyama Charan Gupta 5. Shri P. Karunakaran 6. Shri Harinder Singh Khalsa 7. Shri Nagendra Pratap Singh Patel 8. Smt. Kahkashan Perween 9. Dr. Vinay P. Sahasrabuddhe 10. Shri Binoy Viswam To hear the views of the representatives of Bharti Airtel Ltd. and Bharat Sanchar Nigam Ltd. on 'Issues concerning call drops'. Representatives of Bharti Airtel Ltd. and Bharat Sanchar Nigam Ltd.
1 27th to 29th June, 2018 (1.) 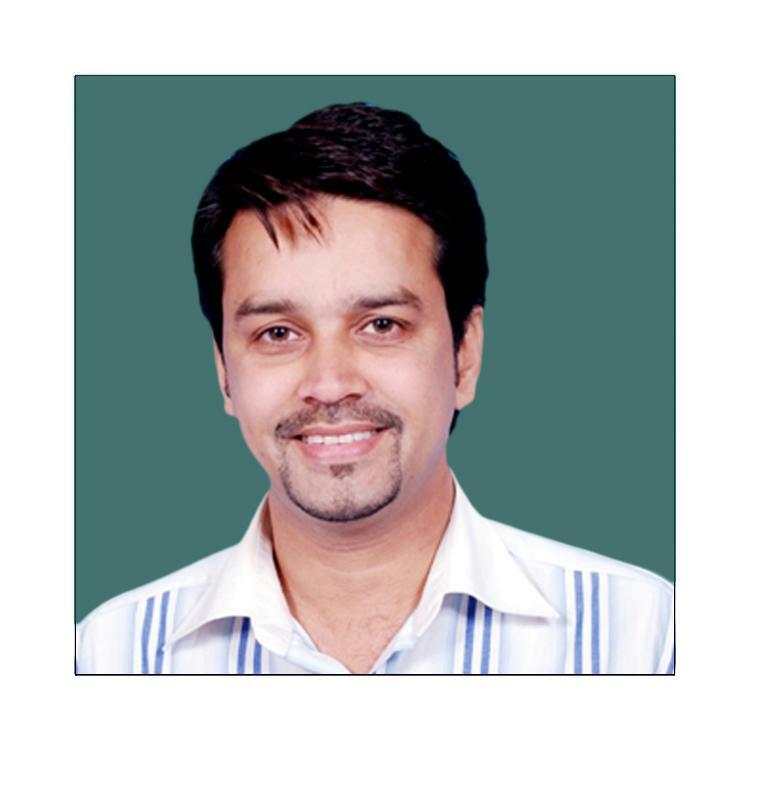 Shri Anurag Singh Thakur, Chairperson (2.) Shri Prasun Banerjee, (3.) Shri Hemant Tukaram Godse, (4.) Dr. J. Jayavardhan, (5.) Shri Virender Kashyap, (6.) Shri Raosaheb Danve Patil, (7.) Shri Ramdas C. Tadas, (8.) Shri Nagendra Pratap Singh Patel, (9.) Shri Santiuse Kujur, (10.)Smt. Kahkashan Perween, (11.)Dr. K.V.P. Ramachandra Rao, Hyderabad and Pune Discussion with the representatives of the Department of Telecommunications/BBNL/CGMT, BSNL Andhra Pradesh and Telangana Telecom Circles on the subject ‘Overall functioning of BSNL and the progress of implementation of BharatNet in the Circles’,‘Digital India Programme and National Digital Literacy Mission in the States of Andhra Pradesh and Telangana’, Discussion with the CPMGs Andhra Pradesh and Telangana Postal Circles regarding the performance of Department of Posts in the Circles with special emphasis on ‘Real Estate Management’, ‘Setting up of Post Bank of India as a payment Bank’, ‘e-commerce activities’, etc., Discussion with CPMG Maharashtra Postal Circle regarding the performance of Department of Posts in the Circle with special emphasis on ‘Real Estate Management’, ‘Setting up of Post Bank of India as a payment Bank’, ‘e-commerce activities’, etc., Review of functioning of Prasar Bharati organization,‘Overall functioning of C-DAC’ followed by a visit to C-DAC. 3 25th to 28th August, 2017 (1) Shri Anurag Singh Thakur, Chairperson, (2) Shri Harish Dwivedi, (3) Dr. Sunil Baliram Gaikwad, (4) Dr. Anupam Hazra, (5) Dr. J. Jayavardhan, (6) Shri P. Karunakaran, (7) Shri Ramdas C. Tadas, (8) Smt. R. Vanaroja (9) Shri Santiuse Kujur Thiruvananthapuram and Bengaluru Overall functioning of BSNL and the progress of implementation of BharatNet in the Circle, Ministry of Information and Broadcasting/Prasar Bharati and Heads of Doordarshan and AIR, Kerala on overall functioning of Regional Kendras Prasar Bharati in the State, Start-up companies in the IT Sector - Problems and Challenges, Overall functioning of Department of Posts in the Circle, Digital India Programme, Overall functioning of Broadcast Engineering Consultants India Limited. 4 15th to 19th May, 2017 1.Shri Anurag Singh Thakur,2. Shri Harish Dwivedi, 3.Dr. Sunil Baliram Gaikwad, 4. Shri Hemant Tukaram Godse, 5. DR. Anupam Hazra, 6. Dr. J.Jayavardhan, 7. Shri P. Karunakaran, 8. Shri Virender Kashyap, 9. Shri Harinder Singh Khalsa, 10.Shri Raosaheb Danve Patil, 11. Dr. (Smt.) Bhartiben Dhirubhai Shiyal,12. Shri D. K. Suresh, 13. Shri Ramdas C. Tadas,14. Smt. R. Vanaroja, 15. Shri Suresh Gopi, 16. Shri P. Bhattacharya, 17. Shri Santiuse Kujur 18. Dr. Vinay P. Sahasrabuddhe Mumbai, Chandigarh and Shimla Department of Telecommunications and Bharat Broadband Network Limited (BBNL and BSNL), Overall functioning of BSNL and Progress of implementation of National Optical Fiber Network (NOFN), Digital India Programme, Challenges being faced by Indian IT sector consequent upon recent change in US Immigration/Visa Policy, AIR, Doordarshan, Mumbai Overall functioning of Doordarshan Kendras, AIR in the State, CPMG, Maharashtra Postal Circle, Overall functioning of Department of Posts in the Circle, CPMG, Punjab Postal Circle, Chandigarh, Overall functioning of Department of Posts in the Circle, Various IT Companies, NASSCOM, MeitY, Department of IT, UT Government of Chandigarh on Jobs creation and challenges and opportunities in the region. Start-up Companiesin the IT Sector-Problems and Challenges, Heritage Building of General Post Office Shimla and CPMGs of Himachal Pradesh and Haryana Postal circle Overall functioning of Deparmtnt of Posts in the States, Circles, Department of Telecommunications, BBNL, Power Grid Corporttion of India Limited, BSNL on Overall functiong of BSNL in the Circles and Progress of implementation of National Optical Fiber Network in States, Ministry of Information and Broadcasting an, Prasar Bharati, AIR, DDK from Himachal Pradesh Haryana Punjab and Jammu on the Overall functioning of Doordarshan DKndras and AIR in the States. 5 9th to 13th February, 2016 1. Shri Anurag Singh Thakur, 2. Dr. Sunil Baliram Gaikwad, 3. Dr. Anupam Hazra, 4. Dr. J. Jayavardhan, 5. Shri Virender Kashyap, 6. Shri Harinder Singh Khalsa, 7. Shri Keshav Prasad Maurya, 8. Dr. K.C. Patel, 9. Dr. (Smt.) Bhartiben Dhirubhai Shiyal, 10. Shri Ramdas C. Tadas, 11. Shri Salim Ansari, 12. Shri Vijay Jawaharlal Darda, 13. Shri Meghraj Jain Places visited Bhubaneswar, Port Blair and Chennai. 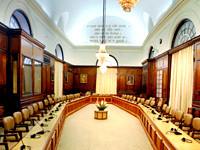 Overall functioning of the Department of Posts in Odisha Circle, Overall functioning of Software Technology Park of India (STPI), Overall functioning of Public Broadcasting services in Odisha, Overall functioning of Orissa Telecom Circle, Overall functioning of Public Broadcasting services in Andaman and Nicobar Islands, Overall functioning of telecom facilities in A&N Islands and status of Undersea Cabling between Mainland and Andaman & Nicobar Islands, functioning of CSCs in the Island region, Centre for Development of Advanced Computing (C-DAC) and functioning of Telecommunication consultants of India Ltd.
7 24th to 28th August, 2015 1.Shri Anurag Singh Thakur,2.Shri Prasun Banerjee,3.Dr. Sunil Baliram Gaikwad,4.Shri Hemant Tukaram Godse,5.DR. Anupam Hazra,6.Dr. J. Jayavardhan,7.ShriP.Karunakaran,8.Shri Harinder Singh Khalsa,9.Shri Keshav Prasad Maurya,10.Dr. (Smt.) Bhartiben Dhirubhai Shiyal,11.Shri Abhishek Singh,12.Shri D.K.Suresh,13.Shri Ramdas C. Tadas,14.Smt. R. Vanaroja,15.Shri Raosaheb Danve Patil,16,Shri Salim Ansari,17. Shri Santiuse Kujur, 18. Shri Meghraj Jain Places visited Pune Goa and Chennai.Visited Post Office and BSNL facilities on way to Mahabalipuram Overall performance of the Department of Posts in the State of Maharashtra,overall position/facilities available under Pune Telecom District,Net Neutrality,Problems and challenges in expansion of rural and remote telephony, overall functioning of the Department of Posts in the State of Goa, status of implementation of Digital India in the State of Goa,overall functioning of the Department of Posts in Tamil Nadu, overall functioning of BSNL in Tamil Nadu Telecom Circle and Progress of Cable TV Digitization and its impact. 54 Statement showing Action Taken by the Government on the recommendations contained in Chapter-I and final replies to the recommendations contained in Chapter-V of the Fifty-fourth Action Taken Report (16th Lok Sabha) on the recommendations of the Committee contained in their Forty-ninth Report (16th Lok Sabha) on ‘Review of Functioning of Song and Drama Division’ of the Ministry of Information and Broadcasting. 52 Statement showing Action Taken by the Government on the recommendations contained in Chapter-I and final replies to the recommendations contained in Chapter-V of the Fifty-second Action Taken Report (16th Lok Sabha) on the recommendations of the Committee contained in their Forty-eighth Report (16th Lok Sabha) on ‘Demands for Grants (2018-19)’ of the Ministry of Communications (Department of Posts). 51 Statement showing Action Taken by the Government on the recommendations contained in Chapter I and final replies to the recommendations contained in Chapter V of the Fifty-first Action Taken Report (16th Lok Sabha) on the recommendations of the Committee contained in their Forty-fifth Report (16th Lok Sabha) on Demands for Grants (2018-19) of the Ministry of Information and Broadcasting. 40 Statement showing Action Taken by the Government on the recommendations contained in Chapter I and final replies to the recommendations contained in Chapter V of the Fortieth Action Taken Report 16th Lok Sabha on the recommendations of the Committee contained in their Thirty-fifth Report 16th Lok Sabha on Demands for Grants 2017 18 of the Ministry of Communications, Department of Telecommunications. 43 Statement showing Action Taken by the Government on the recommendations contained in Chapter-I and final replies to the recommendations contained in Chapter-V of the Forty-third Action Taken Report (16th Lok Sabha) on the recommendations of the Committee contained in their Thirty-eighth Report (16th Lok Sabha) on ‘Issues related to quality of services and reported call drops’ of the Ministry of Communications (Department of Telecommunications). 42 Statement showing Action Taken by the Government on the recommendations contained in Chapter-I and final replies to the recommendations contained in Chapter-V of the Forty-second Action Taken Report (16th Lok Sabha) on the recommendations of the Committee contained in their Thirty-sixth Report (16th Lok Sabha) on ‘Demands for Grants (2017-18)’ of the Ministry of Electronics and Information Technology. 21 Statement showing Action Taken by the Government on the recommendations contained in Chapter-I and final replies to the recommendations contained in Chapter-V of the Twenty-first Action Taken Report (16th Lok Sabha) on the recommendations of the Committee contained in their Seventh Report (16th Lok Sabha) on ‘Demands for Grants (2015-16)’ of the Ministry of Communications (Department of Telecommunications). 41 Statement showing Action Taken by the Government on the recommendations contained in Chapter-I and final replies to the recommendations contained in Chapter-V of the Forty-first Action Taken Report (16th Lok Sabha) on the recommendations of the Committee contained in their Thirty-seventh Report (16th Lok Sabha) on ‘Demands for Grants (2017-18)’ of the Ministry of Communications (Department of Posts). 39 Statement showing Action Taken by the Government on the recommendations contained in Chapter-I and final replies to the recommendations contained in Chapter-V of the Thirty-ninth Action Taken Report (16th Lok Sabha) on the recommendations of the Committee contained in their Thirty-fourth Report (16th Lok Sabha) on ‘Demands for Grants (2017-18)’ of the Ministry of Information and Broadcasting. 33 Statement showing Action Taken by the Government on the recommendations contained in Chapter-I and final replies to the recommendations contained in Chapter-V of the Thirty-third Action Taken Report (16th Lok Sabha) on the recommendations of the Committee contained in their Twenty-sixth Report (16th Lok Sabha) on ‘Demands for Grants (2016-17)’ of the Ministry of Communications (Department of Posts). 32 Statement showing Action Taken by the Government on the recommendations contained in Chapter-I and final replies to the recommendations contained in Chapter-V of the Thirty-second Action Taken Report (16th Lok Sabha) on the recommendations of the Committee contained in their Twenty-fifth Report (16th Lok Sabha) on ‘Demands for Grants (2016-17)’ of the Ministry of Electronics and Information Technology. 31 Statement showing Action Taken by the Government on the recommendations contained in Chapter-I and final replies to the recommendations contained in Chapter-V of the Thirty-first Action Taken Report (16th Lok Sabha) on the recommendations of the Committee contained in their Twenty-fourth Report (16th Lok Sabha) on ‘Demands for Grants (2016-17)’ of the Ministry of Communications (Department of Telecommunications). 30 Statement showing Action Taken by the Government on the recommendations contained in Chapter-I and final replies to the recommendations contained in Chapter-V of the Thirtieth Action Taken Report (16th Lok Sabha) on the recommendations of the Committee contained in their Twenty-third Report (16th Lok Sabha) on ‘Demands for Grants (2016-17)’ of the Ministry of Information and Broadcasting. 22 Statement showing Action Taken by the Government on the recommendations contained in Chapter-I and final replies to the recommendations contained in Chapter-V of the Twenty-second Action Taken Report (16th Lok Sabha) on the recommendations of the Committee contained in their Sixth Report (16th Lok Sabha) on ‘Demands for Grants (2015-16)’ of the Ministry of Electronics and Information Technology. 19 Statement showing Action Taken by the Government on the recommendations contained in Chapter-I and final replies to the recommendations contained in Chapter-V of the Nineteenth Action Taken Report (16th Lok Sabha) on the recommendations of the Committee contained in their Eighth Report (16th Lok Sabha) on ‘Demands for Grants (2015-16)’ of the Ministry of Information and Broadcasting. 18 Statement showing Action Taken by the Government on the recommendations contained in Chapter-I and final replies to the recommendations contained in Chapter-V of the Eighteenth Action Taken Report (16th Lok Sabha) on the recommendations of the Committee contained in their Second Report (16th Lok Sabha) on ‘Demands for Grants (2014-15)’ of the Ministry of Electronics and Information Technology. Twenty-eighth Action Taken Report (16th Lok Sabha) Statement showing Action Taken by the Government on the recommendations contained in Chapter-I and final replies to the recommendations contained in Chapter-V of the Twenty-eighth Action Taken Report (16th Lok Sabha) on the recommendations of the Committee contained in their Tenth Report (16th Lok Sabha) on ‘IT Induction and Modernisation in the Department of Posts’. 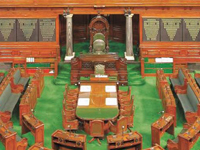 Twentieth Report (16th Lok Sabha) Action Taken by the Government on the recommendations contained in Chapter-I and final replies included in Chapter-V of the Twentieth Action Taken Report (16th Lok Sabha) on the recommendations of the Committee contained in Fifth Report (16th Lok Sabha) on ‘Demands for Grants (2015-16)’ in respect of the Ministry of Communications and Information Technology (Department of Posts). 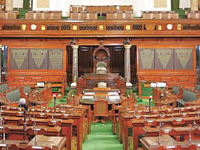 Nineteenth Report (16th Lok Sabha) Action Taken by the Government on the recommendations contained in Chapter-I and final replies included in Chapter-V of the Nineteenth Action Taken Report (16th Lok Sabha) on the recommendations of the Committee contained in Eighth Report (16th Lok Sabha) on ‘Demands for Grants (2015-16)’ in respect of the Ministry of Information and Broadcasting. 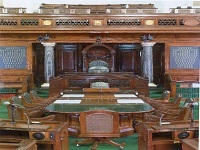 Sixteenth Report (16th Lok Sabha) Action Taken by the Government on the recommendations contained in Chapter-I and final replies included in Chapter-V of the Sixteenth Action Taken Report (16th Lok Sabha) on the recommendations of the Committee contained in Fourth Report (16th Lok Sabha) on ‘Demands for Grants (2014-15)’ in respect of the Ministry of Information and Broadcasting. 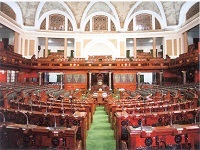 Fifteenth Report (16th Lok Sabha) Action Taken by the Government on the recommendations contained in Chapter-I and final replies included in Chapter-V of the Fifteenth Action Taken Report (16th Lok Sabha) on the recommendations of the Committee contained in Third Report (16th Lok Sabha) on ‘Demands for Grants (2014-15)’ in respect of the Ministry of Communications and Information Technology (Department of Telecommunications). 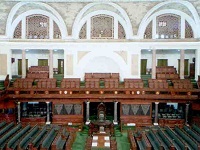 Fourteenth Report (16th Lok Sabha) Action Taken by the Government on the recommendations contained in Chapter-I and final replies included in Chapter-V of the Fourteenth Action Taken Report (16th Lok Sabha) on the recommendations of the Committee contained in First Report (16th Lok Sabha) on ‘Demands for Grants (2014-15)’ in respect of the Ministry of Communications and Information Technology (Department of Posts). Thirteenth Report (16th Lok Sabha) Action Taken by the Government on the recommendations contained in Chapter-I and final replies included in Chapter-V of the Thirteenth Action Taken Report (16th Lok Sabha) on the recommendations of the Committee contained in Fifty-third Report (15th Lok Sabha) on ‘Norms for setting up of telecom towers, its harmful effects and setting up of security standards in expansion of telecom facilities’ in respect of the Ministry of Communications and Information Technology (Department of Telecommunications). 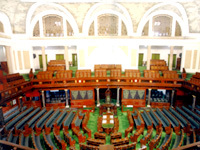 Twelfth Report (16th Lok Sabha) Action Taken by the Government on the recommendations contained in Chapter-I and final replies included in Chapter-V of the Twelfth Action Taken Report (16th Lok Sabha) on the recommendations of the Committee contained in Forty-seventh Report (15th Lok Sabha) on ‘Issues related to Paid News’ in respect of the Ministry of Information and Broadcasting.